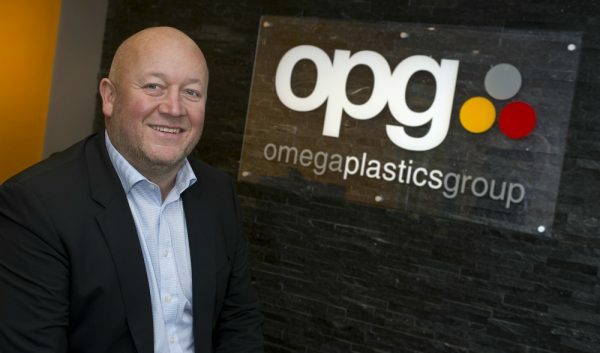 Our previous news story highlighted importance of educating our future generations and engaging students in the engineering and manufacturing procedures and here at Omega Plastics we took part in our third educational visit/talk of the year. 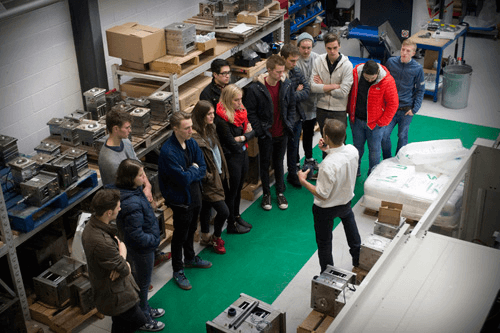 On 18th November Omega Plastics invited 25 design students from Northumbria University to their Hartlepool facility to learn more about the industry that they could potentially be working in, in the future. Northumbria University is well known for its successful design graduates including Apple’s Senior Vice President for Design, Sir Jonathan Ive, Rob Law MBE, inventor of the Trunki and Warren Trezevant, Product Manager at Autodesk Inc and former Animator with Disney Pixar and because of this, along with many other reasons, we were thrilled to create a relationship with such a respected University. The 25 visiting students were mid-way through their 4 year sandwich course, Design for Industry BA (Hons) within which they not only take part in modules such as Industrial Design Practice and Design Communication, but they also have to embark on two placements in their second and third year within the industrial industry. The visit started at 10:30am with an introduction to our team here within the Hartlepool facility and the company itself. At this stage the students were learning about what our company does, who we provide our services to and how each of our departments work together to create a customer’s final product. We felt this a crucial part of the day for the students to understand not only how our company works behind the scenes, but also for them to be aware of how an organisation runs in the hope that this will benefit them when going into their placement. Finally both groups came together for lunch and a final de-brief where they were given the opportunity to talk to different members of our team and ask any questions they had about our company or the processes that we carry out. Overall the day was a success, the feedback we received from the students was positive and it was a great experience for all. ‘The visit to Omega Plastics was really interesting in many aspects. I learned from specialists about the different kinds of plastics, what can I create with them, how strong they are and how to manufacture it. 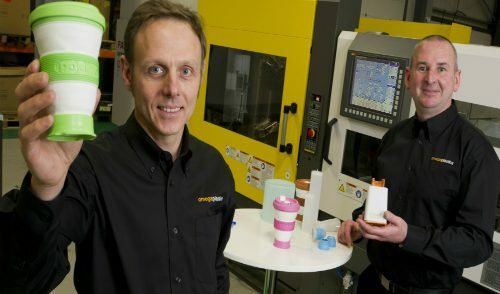 Seeing the machines working and what’s behind of the whole process it was key to leave Omega Plastics with the feeling that now I can design with confidence and know that my products are manufacturable. I learned a lot with this visit and the great and pleasant guys that guided us through it. I can only say thank you.’ – Stephanie Romano, Northumbria University Design Student. ‘The visit to Omega Plastics was very interesting!! It was great to see how plastic is produced in real life. It also showed me a whole new area, tooling, which is something I barely thought of when thinking of manufacturing. Overall it was a great trip.’ Rob Newport, Northumbria University Design Student. ‘I really enjoyed the day, the fact they put lots of effort in to supply food and a personalised tour. It was great because it was a factory visit. 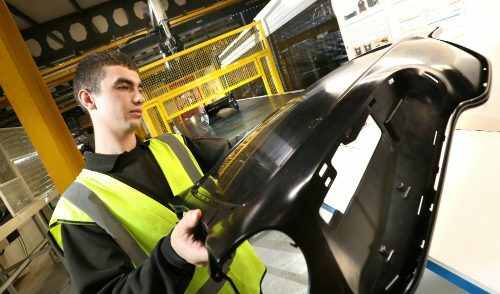 I’d love to go for works experience and I learnt so much about plastics. Also I called them up the other day to ask about plastics and they were very helpful. All in all I had a great day and would defiantly advise anyone to go.’ – Chris Reid, Northumbria University Design Student.